Sadie Lapp has a protective nature - and that nature is about to be tested, as she arrives home from a trip to Ohio with an unexpected "package." What is the story behind what Sadie arrives home with? How does it impact her relationships with her friends and family? Enter into the picture school teacher Gideon Smucker, who is in love with Sadie - but her choice impacts his life in an unexpected way. Sadie's unexpected friendship with Will Stoltz, a college student who ends up working on the family farm, is also full of twists and turns. Who will Sadie fall in love with? How will her decision - made at the beginning of the book - impact her life? With The Haven, Suzanne Woods Fisher has crafted an unexpected (gee I'm using that word a lot) Amish novel - filled with the angst of a girl stuck between two men - Gideon and Will. The story is surprising with its twists and turns. It's a nice companion to the first novel in the series, The Keeper. In all, I really enjoyed The Haven (and have already passed The Keeper on to a friend). Fisher's books have an air of authenticity and are well written.They are enjoyable and full of family and faith. On the scale of one to five, I give this series a solid three and a half. I can't wait to see what book three - The Lesson - highlights when it's released in 2013. Suzanne Woods Fisher’s interest in the Amish began with her grandfather, W.D. Benedict, who was raised Plain. Suzanne has a great admiration for the Plain people and believes they provide wonderful examples to the world. In both her fiction and non-fiction books, she has an underlying theme: You don’t have to “go Amish” to incorporate many of their principles–simplicity, living with less, appreciating nature, forgiving others more readily– into your life. When Suzanne isn’t writing or bragging to her friends about her first new grandbaby (! ), she is raising puppies for Guide Dogs for the Blind. To Suzanne’s way of thinking, you just can’t take life too seriously when a puppy is tearing through your house with someone’s underwear in its mouth. Suzanne can be found on-line at: www.suzannewoodsfisher.com. Follow the Haven book tour! 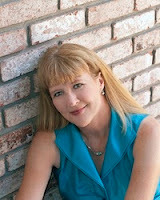 Win a Kindle Fire or Nook Color from @SuzanneWFisher in "The Haven" Giveaway! RSVP for Live Video Chat on 8/30! Thanks for writing a great book.. I've passed the first two books on in this series to a friend and she's really enjoying them!